You might suppose the bibliography of a futurologist to be full of works boldly proclaiming the future; not so in the case of trendspotter Magnus Lindkvist. 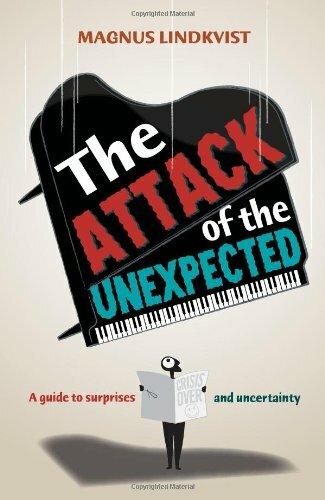 After a coffee with our Head of Research, Leo von Bulow Quirk, Magnus very kindly sent us copies of “The Attack of the Unexpected” (Marshall Cavendish 2011) and “Everything We Know Is Wrong!” (Marshall Cavendish 2010). In both books Magnus talks less about what will happen, and more about why it’s so hard to make predictions. We need to admit that we can’t be right about the future. The Titanic has become a famous example of hubris, it clearly wasn’t unsinkable. In a sense, it was though, says Magnus, the many chambers in its hull were built to withstand a head on collision several times the impact that sank it, but, by turning in avoidance to port, the iceberg ripped an enormous hole in the side of the ship. It was the unpredictable actions of the crew, rather than engineering design flaws, that sank the Titanic. The conclusion is simple, “There is no way of predicting where the combined ideas of billions of people will take us next.” We need to learn to live with the unexpected.